Hinweis: Ihre Anfrage wird direkt an Taiflex Scientific Co., Ltd. gesendet. Solmate® TPT has great performance of hydrolysis resistance, better properties of electric insulation and breakdown voltage. Its excellent UV performance and water resistance make it applicable to crystalline silicon solar modules. industry. 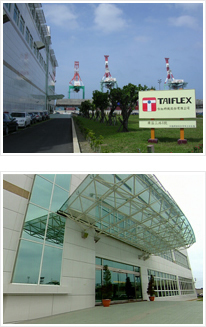 From the downstream assembly to upstream electronics material, the trend of such progression has resulted in the establishment of Taiflex Scientific Co., Ltd.
R&D department is always the core of our company, Taiflex R&D team has years of research experience, to provide a full range of lamination materials; in addition, we have the most professional technical services team which well known in the downstream FPC process, can advise and give the appropriate technical/after service to fulfill different needs to our customers. Taiflex is capable of coating 8um products for mass production, we’re also doing high-density materials in formulation, halogen-free materials, COF and 2-Layers for high frequency application. And we create precision inspection technology, become the most reliable FPC material supplier to our customers. Taiflex uphold the concept of environmental protection, we focus on green & energy-saving products development, we develop TPT & TPE type of solar modules for back-sheet products. In the LED industry, we have high reliability thermal conductive aluminum products, also we combine FPC formulation and precision coating technology to create thin, Roll type, flexible board, provide more choice in the use of LED light source. In recent years, we invest in the research of nano-coating, has developed a nano-insulation coatings and resigns, used in automotive, architectural glass window film products, implement Green R&D commitment. 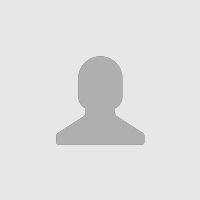 2 mehr Serien von Taiflex Scientific Co., Ltd.